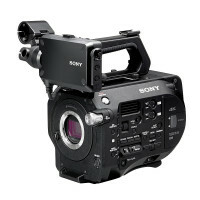 The Shogun Inferno delivers media affordability and high frame rate ProRes recording to the FS7. The low capacity XQCD cards are replaced with affordable SSD media that records up to 4KDCI 60p (ProRes), 4K30p (CDNG) and over 200 fps in HD. The 1500nit AtomHDR monitor also ensures accurate exposure in the field. No more washed out log images, just easy exposure set up on the calibrated 1500 nit monitor with 10+ stops of dynamic range and 10-bit processing. Based on your camera selection, we suggest the following complimentary Atomos product.